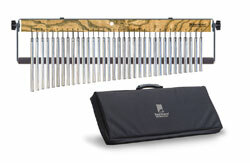 Tre70db - InfiniTree™ - 140 Bar, Four feet wide! TreHS04 - TreeWorks New Studio-Grade 4-inch Triangle. TreHS05 - TreeWorks New Studio-Grade 5-inch Triangle. TreHS06 - TreeWorks New Studio-Grade 6-inch Triangle. 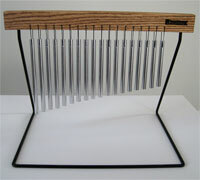 Tre6V - Small Bi-Angle - 6" High Carbon Steel V shaped effect. Tre9V - Medium Bi-Angle - 9" High Carbon Steel V shaped effect. 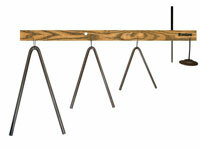 Tre12V - Large Bi-Angle - 12" High Carbon Steel V shaped effect.